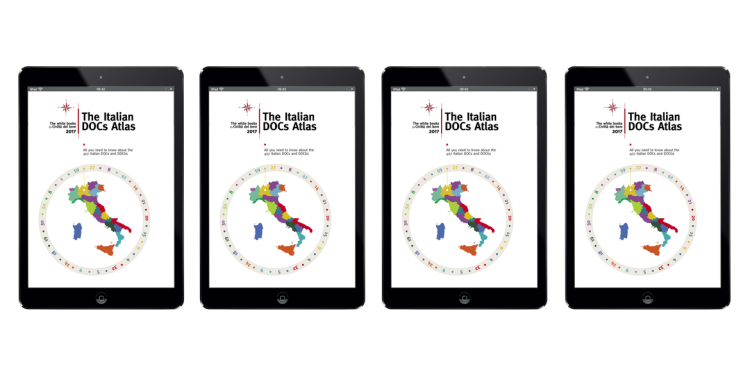 The first Italian DOCs Atlas: all you need to know about the 407 Italian DOCs and DOCGs. We are proud to present the first english edition of The Italian DOCs Atlas published by Civiltà del bere, a “crib” clearly useful to find one’s way about in the vast world of Italian PDOs. Last year huge success, when all the printed copies of the italian version went sold out, and digital copies were sold on-line by the hundreds, has led us to set our hands to it again in order to present a new english 2017 version, emended of the (luckily few) mistakes of the previous one. Buy the first Italian DOCs Atlas! We have revised some “numbers” aligning ourselves with the most common and, above all, official interpretations. We have also renewed our range of testimonials, companies and wines, proud to represent their own Designation, with new vintages on the market and revised texts. Overall, 407 Italian designations (333 Doc e 74 Docg wines), divided by region and geographically located in the maps. If that is not enough, for each region we included data on hectares under vines, production, number of wine-growing companies, export, etc.